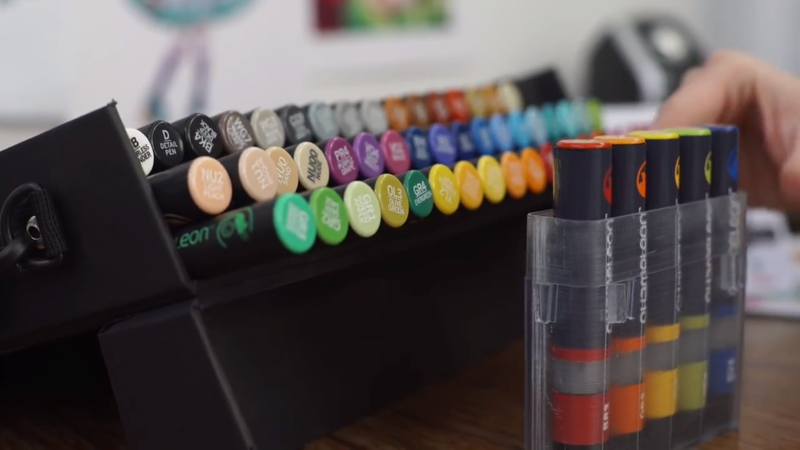 What’s so different about Chameleon alcohol markers? Chaemeleon pens are different to ordinary markers because they include a mixing chamber in their design. The chambers contain a colourless solution which allows for easy blending. It’s a unique concept which allows a seamless gradient of shades. You can also add ‘Color Tops’ which can replace the colourless mixing chambers and allow you to blend between two colours. It’s a completely different system which should mean that you need fewer pens to cover a wider tonal range.